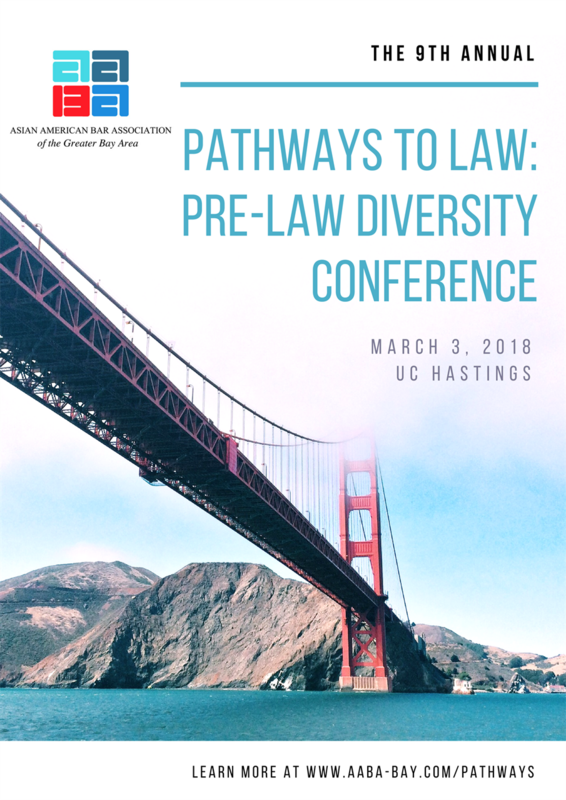 Started in 2010, Pathways to Law (formerly known as "Legally Asian") is an annual SF Bay Area pre-law conference designed to encourage high school, college, and post-college students, especially those from diverse backgrounds, to consider law school and the legal profession. Often students from diverse communities may be the first in their families to attend graduate school or law school, and we recognize the importance of students meeting and learning from real attorneys when considering a legal career. Our FREE, all-day conference features several panels of attorneys and judges, a law student panel, and an interactive mock law class component. Students from all backgrounds, their families, and educators are welcome. For more information, please see our web page here or email AABAPathways@gmail.com.